Teeofftimes.co.uk can offer golfers great prices on tee times at many of the UK’s top golf courses. But what do you take into account when picking somewhere new for you and your friends to play golf? Well, for many it has to be a course that is inside the Top 100 golf courses in the UK and it must have good reviews. 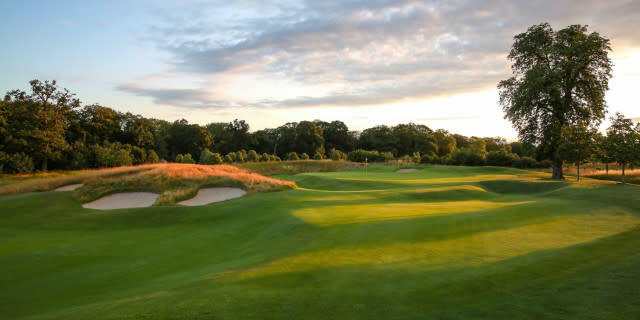 That is why we’ve put together this list of eight courses in the UK that have featured in the Top 100 golf courses in the last 18 months and are highly rated on Golfshake.com. 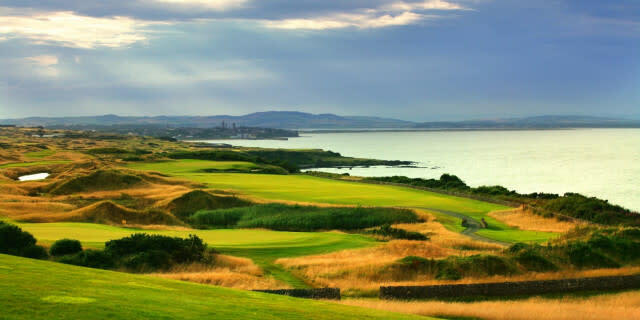 Teeofftimes.co.uk are offering tee times from £30 on both the Fairmont St Andrews Kittocks Course and the Torrance Course. The Kittocks Course is a par-72 course measuring at 7,191-yards from the tips and was designed by Bruce Devlin – who also designed the King’s Course at Gleneagles. The course requires nerves of steel to navigate its many holes running alongside the coastline. The Torrance course, as you will have guessed, was designed by Sam Torrance and measures at 7,320-yards. It is marked by its deep revetted bunkers, large greens and links design. The resort has a five-star Golfshake rating from 222 reviews, with 97% of golfers saying they would recommend the resort to their friends and fellow golfers. Close to London, in the county of Herfordshire, you will find The Grove, which has a rating on 4.91 on Golfshake from 246 reviews. The Grove is one of England’s finest luxury golf courses, with immaculate greens all-year-round, and even hosted the 2016 British Masters. Teeofftimes.co.uk prices start from £75 at this outstanding golf club, with 100% of reviewers saying they would recommend the course. East Sussex National offers everything from 36-holes of championship golf on the East and West Courses, to luxurious accommodation. It is no wonder it has a rating of 4.86 on Golfshake from 456 reviews, with 97.56% of golfers saying they would recommend this course. With rounds starting from £27.50 on Teeofftimes.co.uk, it is no wonder this resort is so popular. Situated in Oxfordshire is our next Top-100 course, with a Golfshake rating of 4.82 from 219 reviews. The course in question? 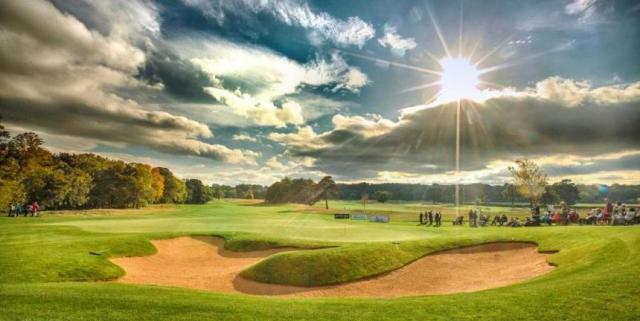 The Oxfordshire Golf, Hotel & Spa. 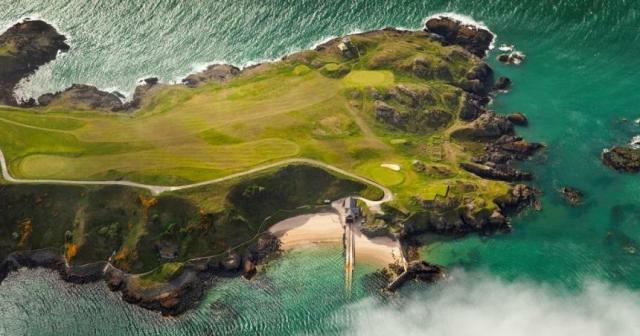 Tee times start at £40 at this former European Tour venue designed by Rees Jones. 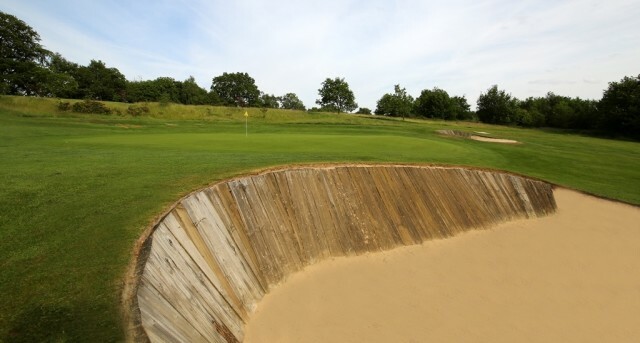 His first design in the UK has strategically contoured holes that blend naturally into the surrounding countryside, providing a challenging game of golf. The quality of this resort is shown through the fact 100% of reviewers said they would recommend this course to other golfers. For those looking for a game of golf in Wales at a Top-100 venue, look no further than Nefyn and District Golf Club where rounds with Teeofftimes.co.uk begin at just £20. This venue offers 27 holes of championship golf, with each nine holes having their own distinctive characteristics and challenges. The ‘Front’ loop starts from the clubhouse and runs along the shoreline with small coves and bays cutting into the fairways before turning inland for the final three holes. The ‘Old’ loop is the world-famous ‘Point’, nine holes on a narrow promontory with the sea and sandy beaches bordering the fairways on either side. Finally, the ‘New’ loop includes a quirky dogleg hole around a small inlet, before reaching the 9th tee with its panoramic views of the entire course. From 87 reviews, this course is rated 4.74 on Golfshake, with 97.37% of golfers saying they would recommend it. Measuring at 7,879-yards from the back tees, Rockliffe Hall is one of the longest and most challenging golf courses in Europe. However, most will find the five individual tee boxes on each hole a welcome addition. This parkland course is set in stunning North East countryside, meaning most golfers don’t want the experience to end. Three lakes and eight reed beds all add to the challenge. This course has a rating of 4.72 from 91 reviews, and it is worth noting that this is another Top-100 course with 100% recommendation rate. Prices start from £35 at Teeofftimes.co.uk. With tee times starting at £30 on Teeofftimes.co.uk and a Golfshake rating of 4.71, you’d be a fool not to consider Silloth-on-Solway Golf Club for your next round of golf. This course in Cumbria has hosted the English Amateur Championship and the EGU Mid Amateur Championship in the past, and is regularly voted the best course in the UK under £100. For a truly unique links challenge, with many holes that are architecturally-incorrect in the modern era, look no further than Silloth-on-Solway. Sweetwoods Park is a stunning parkland course in Kent with valleys, lakes and views that will blow you away. The variety of holes offer golfers a truly interesting round of golf and it is no wonder 100% of Golfshake reviewers would recommend this golf course. At Teeofftimes.co.uk you will find tee times starting from just £22, a great price when you consider it has a rating of 4.69 from 229 reviews. This price combined with the magical draw that lures you in to Sweetwoods make for an unforgettable golfing experience. ** Information correct 1st Dec 2017 - prices may change and offers altered at any time.